Our AGM on Monday was attended by a company of loyal Friends of Friar Gate Bridge, including once again a member who came all the way from Cambridgeshire. The existing trustees were re-elected and we are delighted to have elected two new ones: Cath Feely is a Senior Lecturer in History at the University with a special interest in the late 19th and 20th centuries; David Cross is from Rolls-Royce and has a strong programme management background. We are glad of their involvement as individuals, and grateful for the support of the University and Rolls-Royce that they represent. We received the report of activities during the year, of which the main focus was our Heritage Lottery-funded Scoping Project. The scoping project allowed us to do some work on our governance to ensure that we are a resilient organisation, and included an Options Study by Lathams Architects on potential uses of the Bridge. Illustrations from Lathams’ report were on display at the meeting. There was some discussion about next steps for the Bridge, acknowledging that it is difficult to move forward whilst plans for the adjoining Friar Gate Goods Yard and Bonded Warehouse remain unclear. There was also some discussion of the need to seek alternative funding streams, as Heritage Lottery funding is becoming less readily available than in the past. 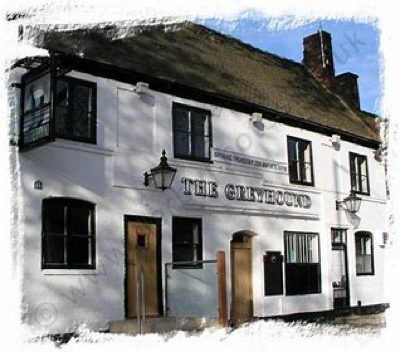 Finally, there was the opportunity to mingle and chat – and to sample the excellent wares of the Greyhound pub which very kindly provided our venue once again.